1. I must complete my alpaca Nalu Mitts for fall. Started in November 2009 and tossed aside forever, I started working on them again last week... they will be a staple in my fall wardrobe! 3. A warm, cozy scarf for ______ for Christmas (too many of you read my blog, so there will be no naming names here!). 4. A warm, cozy (but still stylish) hat for ________ for Christmas. 5. 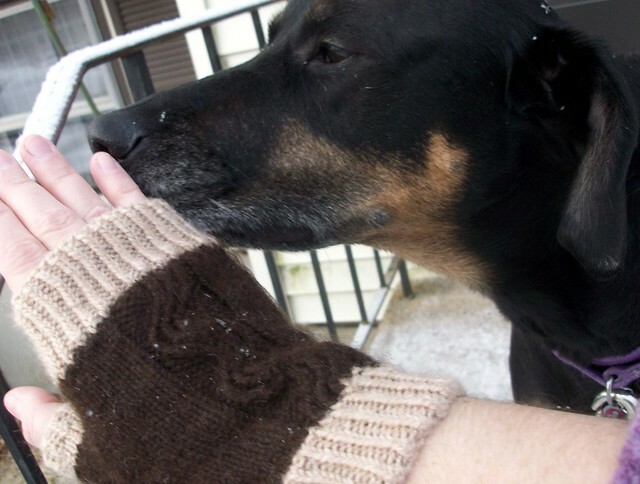 Fingerless gloves for _______ for Christmas. 6. Finish my Montego Bay scarf in Meditation. Yet another project I tossed aside ages ago. 7. Finish the Chevron Blanket that I started for one baby who grew faster than I knit, then marked it for another who surprisingly did the same... eventually it will be complete and there will be a baby ready for it! 8. Baltic Mittens (a Peace Fleece pattern) .... beautiful color work that I can't wait to tackle! 9. Bulky Cabled Leg Warmers ... I bought the yarn last year, but never got them cast on before Spring arrived. These will be super cute with jeans and boots this winter! 10. (finally) My first adult size sweater... for me. I have several patterns that I've picked out over the past few years... and the yarn already purchased. 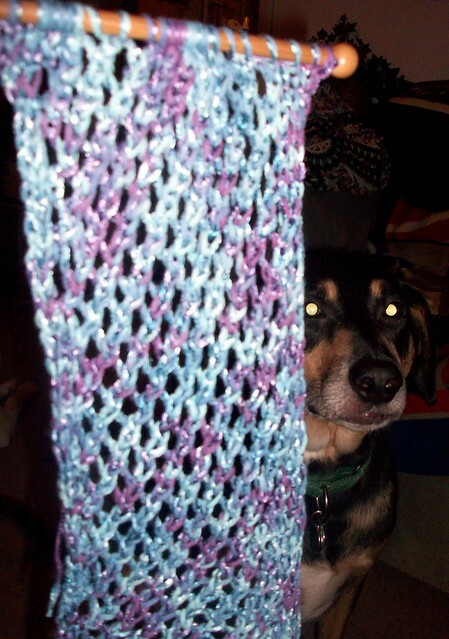 I have ONE scarf that needs about another 2" of knitting, then bind off. That's it. Nothing else even close. It's nice that you have helpers for modeling your lovely creations. The scarf is a really pretty color. I had to stop by and tell you that I thought of you this weekend. My sister is starting to use her sheep wool to make mittens, she showed me a pair the other day and they were so cute! She is also in the process of making me a wool Newf purse, it is so darn cute! I will post a picture of it when she is done! She wants me start helping her but I really don't think I have the patience for it! Don't you know it??? I've already started thinking about Christmas knitting and planning how I'm going to get it all done. Ugh.